… all in one compact design? … all at an affordable price? 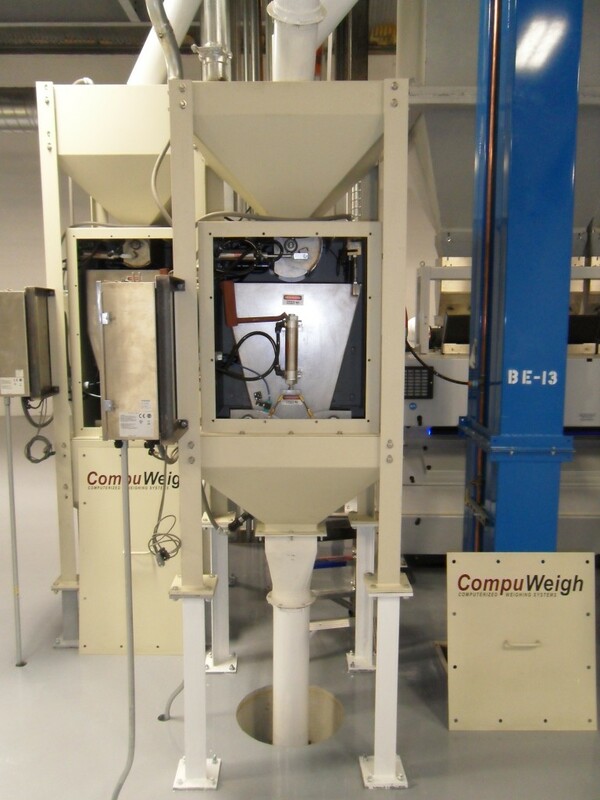 Then you definitely need a CompuWeigh Process Hopper Scale! This low-cost, low-maintenance scale is ideal for obtaining accurate, reliable weighing of dry bulk materials in capacities anywhere from 5 – 260+ Tons Per Hour. These scales are the perfect choice to handle a wide variety of bulk materials providing incredible accuracy, dependability and speed. Accurate: Whether you need legal-for-trade weights or the ability to monitor production and inventory, these scales deliver 99.9% accuracy with full government NTEP compliance. High-Speed: A superior tension load cell design and high-volume discharge gates provides fast cycling time of 10-15 seconds. 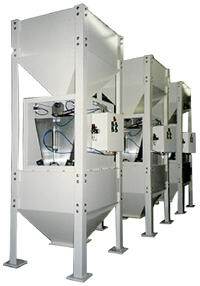 This allows the scale (depending on size and material) to process up to 240 drafts per hour! Simple: No special training is required to operate the system. The scale is shipped completely assembled, pre-tested and ready for installation for long, trouble-free service. Removable doors provide easy access for testing and maintenance. Configurable Design: Traditionally these scales are supplied with an upper garner, weigh hopper and lower garner. In situations where there is a lack of space or there is an existing bin that needs to be included in the design, we are often able to custom design a solution. 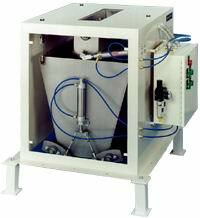 Hydraulic or Air Operation: Typically the systems are supplied with pneumatic cylinders to open and close the gates. Hydraulic systems are available where good quality compressed air is not available or where there are concerns about cold weather operation. Hydraulic systems come complete with a hydraulic power pack and all necessary piping. Reliable: Precision design and fabrication allows 24-hour per day performance even in the harshest environments. The fully enclosed design ensures dust-tight operation and is virtually maintenance-free. The scales come standard with a high quality powder coated finish with the weigh hopper and gates made of stainless steel for durability. All components can be made from 404 or 416 stainless steel if required. Speed controls are provided to ensure that the gates open and close not only firmly but also quietly. 80 – 110 PSI clean, dry air and 115 VAC 50/60 Hz 1A supply (optional 230VAC). Please inquire for hydraulic if required. 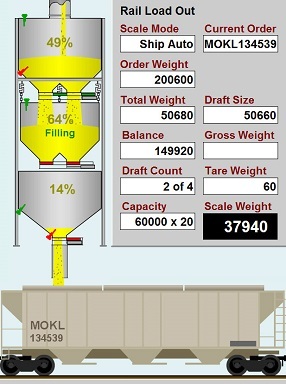 CompuWeigh’s DWC-400 Digital Weight Indicator is the perfect match for Process Hopper Scale control. The DWC-400 is user configurable and is suitable for most applications. Other controllers are available for more demanding applications. This weight indicator is well suited for interfacing with plant PLC systems, see the DWC-400 page for more details. *Note: Capacity and throughput based on 48 lbs./cu. ft. at 200 drafts per hour. (*Some models capable of up to 240 drafts per hour, please inquire.) Handling capacity depends on density of the material, flow characteristics and the external material handling equipment. Sizes above are approximate and may vary slightly depending on your specific application. Please contact CompuWeigh for additional details.